One of the user of this website asked my opinion about DURECT Corporation. Is it future biotech gem (like Alkermes plc) or just a fake biotech? ALKS pps increased 5 times during last 4 years. Question is why funds like DRRX? May be they see a huge potential in this small cap biotech? DURECT Corporation is a specialty pharmaceutical company focused on the development of pharmaceutical systems based on its proprietary drug delivery platform technologies to treat chronic debilitating diseases and enable biotechnology products. 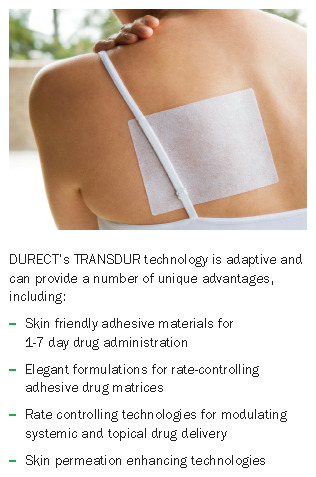 These platform technologies include the SABER® Delivery System (a patented and versatile depot injectable useful for proteins, peptides and small molecule delivery), the ORADUR® sustained release oral gel-cap technology (an oral sustained release technology with several potential abuse deterrent properties), the TRANSDUR® transdermal patch technology, the DURIN® Biodegradable Implant (drug-loaded implant system) and the MICRODUR™ Biodegradable Microparticulates (microspheres injectable system). DURECT also partners with pharmaceutical and biotechnology companies to develop and commercialize proprietary and enhanced pharmaceutical products based on its technologies. DURECT has seven disclosed on-going development programs of which six are in collaboration with pharmaceutical partners. "DURECT announced that the U.S. FDA has issued a complete response letter for Posidur, an investigational drug for administration into the surgical site to produce post-surgical analgesia. 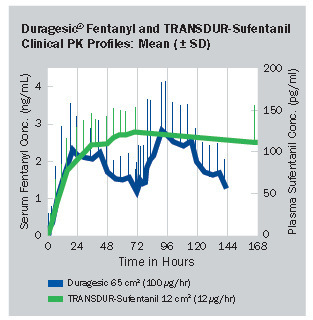 Based on its review, the FDA has determined that they cannot approve the new drug application in its present form, stating the NDA does not contain sufficient information to demonstrate that Posidur is safe when used in the manner described in the proposed label, and the FDA has indicated that additional clinical safety studies need to be conducted. WHAT'S NOTABLE: Pacira Pharmaceutics manufactures Exparel, a drug that can provide non-opioid post-surgical pain management. Pacira's Exparel would face competition from Posidur, which is also a potential drug to be used for post-surgical analgesia. PRICE ACTION: Pacira shares are higher by over 13% to $69.99 in afternoon trading, while rival DURECT shares are down by almost 24% to $1.49." CRL from FDA is a routine for small biotechs. What is about DRRX science? SABER® or CLOUD™ Depot products can be manufactured using established unit operations and readily available equipment to provide for early R&D work, non-clinical, and clinical studies. Each SABER or CLOUD Depot product is comprised of a powder component and a liquid component or vehicle. The final product presentation can be a single component depot where the 2 components are mixed to form a solution, emulsion, or suspension and filled as part of the manufacturing process as shown in the diagram or a two-component depot where the powder component and vehicle would be filled in separate containers that must be mixed at the time of use. Peptide/Protein Delivery—The chemical nature of our bioerodible injectable depot systems tend to repel water and body enzymes from its interior and thereby stabilizes proteins and peptides. For this reason, we believe that bioerodible injectable depot systems are well suited as a platform for biotechnology therapeutics based on proteins and peptides. Less Burst—Typically, controlled release injections are associated with an initial higher release of drug immediately after injection (also called “burst”). Animal and human studies have shown that our bioerodible injectable depots can be associated with less post-injection burst than is typically associated with other commercially available injectable controlled release technologies. High Drug Concentration—Drug concentration in our bioerodible injectable depot formulations can be as high as 30%, considerably greater than is typical with other commercially available injectable controlled release technologies. As a result, smaller injection volumes are possible with this technology. 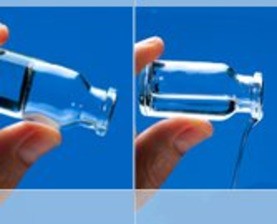 Ease of Administration—Prior to injection, our bioerodible injectable depot formulations are fairly liquid and therefore can be injected through small needles. Additionally, because of the higher drug concentration of our bioerodible injectable depot formulations, less volume is required to be injected. Small injection volumes and more liquid solutions are expected to result in easier, less painful administration. Strong Patent Protection—Our bioerodible injectable depot technology is covered by United States and foreign patents. Ease of Manufacture—Compared to microspheres and other polymer-based controlled release injectable systems, our bioerodible injectable depot formulations are readily manufacturable at low cost. Well, such solutions that are liquid at room temperature and become solid at body temperature (inside of injection site) are not a fantasy. May be it's based on Poloxamer or similar chemicals. The SABER technology is the basis of POSIDUR, for which a New Drug Application (NDA) was filed with the FDA and for which a Complete Response Letter was received on February 12, 2014. The SABER Technology is also the basis for Relday, which is in a Phase I in the U.S. In our clinical studies thus far, our bioerodible injectable depot formulations have been observed to be safe and well-tolerated, and no significant side effects or adverse events have been reported. Conclusions: DRRX technologies are based on real science and the approaches in drug delivery are innovative and original. Current DRRX commercial and marketed products (ALZET® Osmotic pump and LACTEL® Biodegradable Polymer) are not valuable and will not generate any significant profits in a future. Products that are in development (transdermal and ultra-long sustained release injections) are very promising and may generate very good profit when tested in clinical trials and approved by FDA. I already bought DRRX for long (1-2 years).